Winter is often referred to as “flu season” because this is when communities see a rise in illnesses. 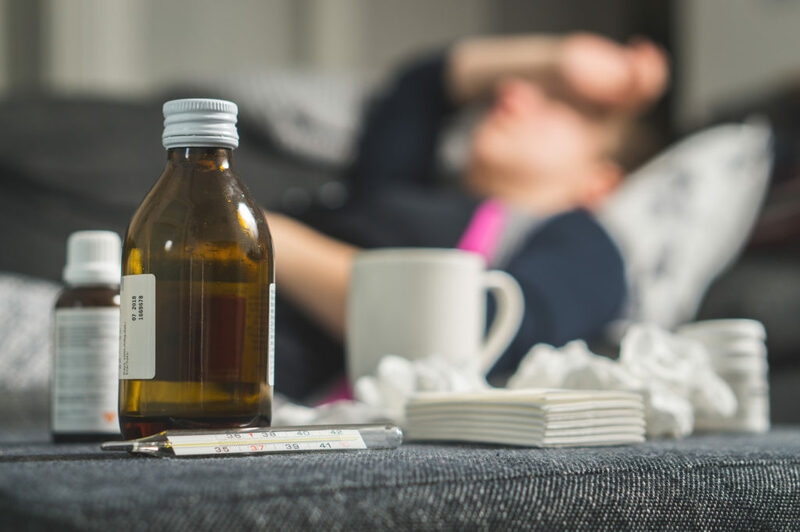 According to the Centers for Disease Control, ”Most people who get sick with flu will have mild illness and will not need medical care or antiviral drugs, and most will recover in less than two weeks.” Many people think that they won’t be affected at all (and some aren’t), but there are some who are at higher risk for contracting certain illnesses. Children younger than 5, but especially children younger than two years old. Pregnant women (and women up to two weeks post-delivery). Residents of nursing homes and other long-term care facilities and people with compromised cognitive function (dementia, Alzheimer’s, and neurological disorders). The first is an annual flu vaccine. The CDC suggests that 2017–2018 was considered a high severity year with an estimated 1.2 million specimens tested and the season extending well into March, 2017. Although there is no way to predict how severe the 2018–2019 flu season will be, the CDC suggests that you prepare early by getting your flu vaccine by the end of October. It will take approximately two weeks for your body to develop antibodies, and you will want to be ready before the traditional onset in mid-November. The second is the pneumonia vaccine. Pneumonia is sometimes caused by the Streptococcus pneumoniae bacteria. This is a miserable illness that can often drag on for weeks and often has symptoms requiring hospitalization. To prepare for—and potentially avoid—contracting this illness, get your pneumonia inoculations early in the season. This vaccine is recommended every five years, so if you have had yours recently, you are in the clear for a few years. The third is the whooping cough vaccine. Children get the DTaP immunizations as part of their regularly scheduled immunizations, but adults sometimes forget that they need a Tdap booster shot every ten years. In this case, every adult should have the booster to help avoid the spread of whooping cough (the p in Tdap) to infants, young children, and the elderly. The cough is a painful reminder that the pertussis bacteria is still alive and well and can be easily passed from one person to another through airborne germs. The primary symptom is a painful cough, which can become worse over a period of two to six weeks. Unfortunately, pertussis infections are on the rise, so the CDC strongly advises the booster to help minimize the spread of this sometimes-deadly infection. If you have already had your annual check up this year, there is no reason to see your physician again. Simply contact your favorite pharmacy and they will provide your winter vaccines. Remember that although there is no telling when, where, or how you might be exposed, there is a strong potential that you will be exposed. Protect yourself, and get your vaccines today. Your pharmacist is your most accessible medical provider.